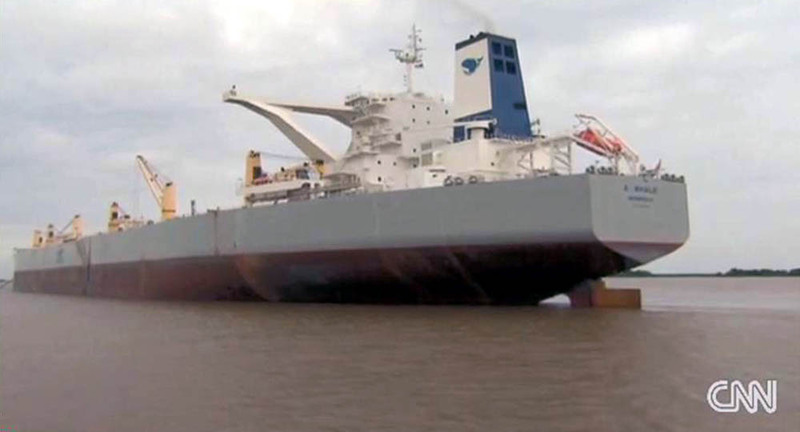 New Orleans, Louisiana (CNN) — A ship billed as the world’s largest skimming vessel will continue testing its abilities in the Gulf of Mexico Sunday. If A Whale’s tests in a 5-by-5-mile area north of the underwater gusher are successful, the massive ship could play a key role in oil cleanup efforts. The boat, which swallows water with oil then separates it, can skim about 21 million gallons of oil a day. That’s at least 250 times the amount that modified fishing vessels currently conducting skimming operations have been able to contain, according to Taiwanese company TMT shipping, which owns the vessel. Initial results from tests are expected Monday, TMT spokesman Bob Grantham said.